The idea of ‘threshold concepts’ for Indigenous studies has received little attention in the literature to date. Page’s work is the notable exception, identifying the basis for what may constitute threshold concepts in this field. This paper builds on Page’s approach by providing a theoretical consideration of five ideas that may function as threshold concepts in Indigenous studies: race, Country, relationality, policy and evidence. 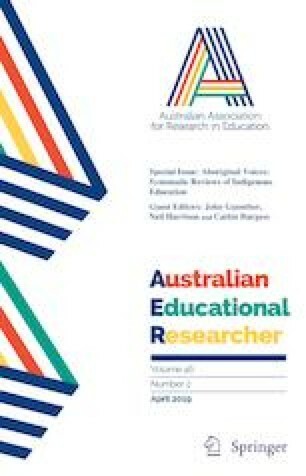 Much research on Indigenous teaching and learning focuses on curriculum and pedagogy, but it is unclear what prior content knowledge of Indigenous issues pre-service teachers require. Threshold concepts allow the specification of content knowledge, which could suggest that learning about knowledge production may function as a part of learning about teaching, and thus describe a foundational purpose for Indigenous studies in the field of education. Kowal, E., & Jenkins, M. (2016). DNA Nation raises tough questions for Indigenous Australians. The Conversation. Retrieved December 2, 2017, from http://theconversation.com/dna-nation-raises-tough-questions-for-indigenous-australians-59877. United Nations. (2007). United Nations Declaration on the Rights of Indigenous Peoples. A/RES/61/295 (13 September 2007). Retrieved from http://www.un.org/esa/socdev/unpfii/documents/DRIPS_en.pdf.